In August 2012, the jury at the inquest into Sean Rigg’s death returned a damning verdict criticising the actions of the police and the unsuitable use of restraint. Since then, an independent review heavily criticised the original Independent Police Complaints Commission (IPCC) investigation and the IPCC subsequently decided to re-open the disciplinary and criminal investigations into Sean’s death. On 13 May 2014, the High Court quashed the IPCC’s original investigation with the consent of all parties on the basis that the original investigation was flawed and inadequate. This enabled the IPCC to revive its disciplinary investigation into PC Birks and the other officers, and raised the prospect of disciplinary action against all four officers along with the custody officer Sergeant Paul White. However, the resignation of PC Birks was tendered and accepted before the IPCC were able to serve him with a notice under the misconduct regulations. The Rigg family’s solicitors wrote to the Commissioner of Police of the Metropolis to argue that the Commissioner acted unlawfully in accepting the resignation of PC Birks and asked the Commissioner to immediately withdraw his acceptance so that justice could take its proper course. Subsequently, at the end of May 2014, the MPS decided to suspend PC Birks and rescind acceptance of his resignation. The MPS considered the position further on 14 August 2014 but determined that PC Birks should remain suspended from duty pending the outcome of the IPCC investigation, at which time it would be re-considered further. On 22 August 2014, PC Birks brought a judicial review against the MPS, arguing that the 14 August decision was unlawful. Mrs Justice Lang has now dismissed PC Birks’ judicial review, emphasising “the importance of identifying wrongdoers and making findings against them, where there are deaths in custody as a result of police misconduct, falling short of criminal conduct”. Mrs Justice Lang refused the application of PC Birks for permission to appeal. Prior to the judgment handed down today there have been many instances where police have avoided disciplinary proceedings by resigning or retiring. In the four year period up to the end of March 2013, 38 police officers across the country retired or resigned during the course of independent IPCC disciplinary investigations. In a speech to the Police in May this year, the Home Secretary Theresa May restated the government’s intention to end this practice. Although she announced that intention as far back as February 2013, the situation remains unchanged. As Mrs Justice Lang noted in her judgment, “Despite the legitimate concern of disciplinary proceedings against police being fully pursued there is no legal bar on an officer resigning while facing disciplinary proceedings”. "Thankfully, the Judge has agreed with Bernard Hogan-Howe’s decision not to allow PC Andrew Birks to resign in order to become a curate in the Church of England, pending the outcome of the IPCC’s disciplinary investigation. For decades families have been frustrated that officers have been allowed to use this escape hatch and avoid disciplinary action for alleged wrong-doing. I and my family hope that this will now set a precedent for other families who face the same dilemma as my family have following a death in custody, and avoid upset and anguish when an officer leaves the police service before an investigation into his or her conduct is complete. After six long unnecessary years, a little bit of justice goes far - but why should a family have to fight so hard for it? It was sheer luck that we found out about PC Birk's resignation before it took effect, yet we now learn that the MPS knew about it all along. I insist that the IPCC vigorously and speedily move on with the investigation for all concerned and this Government immediately seek cross party support for a change to the law making it mandatory for officers to remain in post where misconduct investigations are ongoing. Coupled with that, these IPCC investigations need to be properly funded so they can be competent and fast." “It is unacceptable that police officers are able to evade accountability for wrongdoing and frustrate the justice process in this way. This is not an isolated case but part of a systemic problem that allows the police to remain above the law. “The government stated early last year that they intended to end this practice. However, still nothing has been done. This gaping flaw in the police complaints system must be urgently addressed. “INQUEST welcomes the Judge’s ruling in this case, as it ensures that a proper Article 2 compliant investigation can now be concluded into the serious allegations against PC Birks. INQUEST has been working with the family of Sean Rigg since August 2008. The family is represented by INQUEST Lawyers Group members Daniel Machover from Hickman and Rose Solicitors and barristers Leslie Thomas of Garden Court Chambers and Jude Bunting of Doughty Street Chambers. This is not an isolated case and there have been many instances where police have avoided disciplinary proceedings by resigning or retiring. In a speech to the Police Federation last week, Home Secretary Theresa May restated the government’s intention to end this practice. Although she first announced that intention as far back as February 2013 the situation remains unchanged. “The family of Sean Rigg is livid to say the least to learn that PC Andrew Birks, one of the arresting officers who was involved in the death of our beloved brother, Sean, has recently had his resignation accepted by the Police Commissioner, Bernard Hogan-Howe, to take effect on 1 June 2014 unless reversed. “There is no doubt in our minds that this decision by PC Birks was taken to avoid the risk of him being held accountable for his conduct towards Sean on 21 August 2008 and acquiring a disciplinary record, possibly for gross misconduct. “It was wrong for the Commissioner, Sir Bernard Hogan Howe, to accept his resignation. He was wholly aware of the position PC Birks was in. “We are also extremely alarmed that the IPCC has not seen fit before now to even consider advising the MPS to suspend ALL the officers involved or for the MPS to do this of its own accord. “The delays in this case, the failure to suspend officers and this resignation of PC Birks, if it does take effect on 1 June 2014, are outrageous and destroy public confidence in the police complaints system. INQUEST has been working with the family of Sean Rigg since his death in August 2008. The family is represented by INQUEST Lawyers Group members Leslie Thomas and Thomas Stoate of Garden Court Chambers and Jude Bunting of Doughty Street Chambers and Daniel Machover and Helen Stone of Hickman and Rose Solicitors. § The importance of a disciplinary investigation in vindicating the Article 2 rights of Sean Rigg’s family. The Commissioner has not yet provided Sean Rigg’s family with any reasons for the decision to accept PC Birks’ resignation. The Commissioner has been asked to withdraw his acceptance of the resignation of PC Birks and suspend him from duty pending final decisions determining the outcome of a disciplinary investigation and, if appropriate, disciplinary proceedings. Marcia Rigg-Samuel hopes that the Commissioner reverses his decision, but if not she will consider bringing court action at the end of this week. 2. Background to Sean Rigg’s death, inquest and subsequent proceedings can be found on the INQUEST website www.inquest.org.uk. INQUEST provides specialist advice and a complex casework service to people bereaved by a death in custody/state detention or involving state agents and works on other cases that also engage article 2 of the ECHR and/or raise wider issues of state and corporate accountability. INQUEST's policy and parliamentary work is informed by its casework and we work to ensure that the collective experiences of bereaved people underpin that work. Its overall aim is to secure an investigative process that treats bereaved families with dignity and respect; ensures accountability and disseminates the lessons learned from the investigation process in order to prevent further deaths. The Independent Police Complaints Commission has published its independent review of its investigation into the death of Sean Rigg. The review was commissioned following the inquest into the death of Sean Rigg at which the jury made damning findings about the conduct of the police and which revealed serious disparities between the evidence and findings of the inquest jury and the IPCC’s own investigation findings. This is the first time an IPCC investigation has been critically analysed by an external review. The independent review, conducted by Dr Silvia Casale with the support of James Lewis QC and Martin Corfe, was carried out between November 2012 and April 2013. The family, their lawyers and INQUEST met regularly with the review team and INQUEST also made a written submission. “Almost five years after our brother’s unnecessary death this report shows just how badly we were failed by the IPCC, not to mention the police. It is frightening to think that in the intervening years as we struggled for justice more families will have been failed in the same way. “The fact that the IPCC has accepted all the report’s recommendations is incredibly encouraging for us. We recognise the importance of a body like the IPCC to hold the police to account. But that is exactly what it must do. We hope that a complete re-investigation of the issues identified by the review, with new consideration of police misconduct and criminal proceedings, will take place as quickly as possible. “INQUEST welcomes this report which offers a blueprint as to how contentious police deaths should be handled by the IPCC. “The litany of failings identified by the report not only vindicate Sean Rigg's family's concerns over the IPCC investigation and police conduct but also point to the need for significant practice change for the IPCC, police and Police Federation. The test will be in the prompt and robust implementation of its recommendations. “Both the interests of bereaved people and public will be better served by an IPCC that can hold the police to account for criminality or misconduct and help develop good practice and safeguard lives in the future. INQUEST has been working with the family of Sean Rigg since his death in August 2008. The Rigg family is represented by INQUEST Lawyers Group members Daniel Machover and Helen Stone of Hickman and Rose Solicitors, and Leslie Thomas and Thomas Stoate of Garden Court chambers. INQUEST provides a general telephone advice, support and information service to any bereaved person facing an inquest and a free, in-depth complex casework service on deaths in custody/state detention or involving state agents and works on other cases that also engage article 2 of the ECHR and/or raise wider issues of state and corporate accountability. INQUEST's policy and parliamentary work is informed by its casework and we work to ensure that the collective experiences of bereaved people underpin that work. Its overall aim is to secure an investigative process that treats bereaved families with dignity and respect; ensures accountability and disseminates the lessons learned from the investigation process in order to prevent further deaths occurring. Note: please let us know if you do not wish to receive INQUEST press releases. UFFC is run directly by families of those that have died in state custody. Since 1999 we have organised the Annual Remembrance Procession, this will be the 14th year. We march from Trafalgar Square to Downing Street where we present our demands to the Prime Minster. This will take place on Saturday 27th October at 12.30. Replacement of the IPCC to ensure open robust transparent and thorough investigations from the very outset of police deaths in custody – with a removal of all ex-police officers for it to be a truly independent body. Deaths in psychiatric detention and / or of those detained under the Mental Health Act, must be subject to a system of properly funded investigation that is completely independent of the Health Service. National implementation of police body cameras and cameras in all police vehicles in the interests of both the officers and the public. There should be an automatic right to non-means tested legal aid for families. There is a lack of funds for family legal representation at Inquests whilst officers and NHS staff get full legal representation from the public purse – this is unbalanced. The verdict highlighted a catalogue of failures by both statutory mental health services and the police in their dealings with the musician and songwriter. The Rigg family are aware of similar tragedies that have occurred involving the police and mental health services since their brother’s death, and say that this is evidence that lessons from these fatalities have not been learnt. They want to see wholesale reform in the way the police and mental health services treat mental health service users in order to ensure that such painful tragedies do not occur again. With detention rates under the Mental Health Act 44% higher among people from the UK’s African Caribbean communities than their white counterparts, the family have teamed up with campaign group Black Mental Health UK in organising this event, which will also serve as a forum to raise awareness and address the stigma associated with this health condition. - The Sean Rigg Justice and Change Campaign was set up by the Rigg family to uncover the truth about how he died and bring about wholesale reform in the treatment of mental health service users by the police and other agencies. - Black Mental Health UK is a human rights campaigns group established to address the over representation of African Caribbeans within secure psychiatric care and raise awareness to address the stigma associated with mental health. - Detention rates for people from the UK’s African Caribbean community has doubled over the past five years during the period 2005 – 2010 while declining for the rest of the population. In a highly unusual move, the Independent Police Complaints Commission announced today that it has commissioned an independent external review of its investigation into the death of Sean Rigg, at the same time as it publishes its report of that investigation. The family and INQUEST welcome the decision to hold this review. The IPCC report reflects a deeply flawed investigation. The flimsy findings of the IPCC report are in stark contrast to the highly critical and far reaching findings of the inquest jury which delivered a damning narrative verdict on 1 August 2012. Central flaws in the IPCC investigation included the failure to secure comprehensive first accounts from any of the relevant officers for over six months, despite the IPCC being in attendance at Brixton police station just hours after Sean Rigg’s death, and the failure to test officer accounts against photographic and CCTV evidence. “The family of Sean Rigg are delighted that after listening to and analysing the evidence at Sean's inquest, a jury of 11 ordinary people found his mental health care team, SLAM, and the officers' actions ‘more than minimally contributed to his death’. The officers’ actions in particular were severely criticised by the jury. “There has never been any doubt in our minds that the IPCC’s inadequate report of February 2010 reflected an extremely poor and ineffective investigation into Sean’s death. For the IPCC to conclude in their findings that ‘the officers adhered to policy and good practice by monitoring Mr Rigg in the back of the van’ is absolutely absurd, flies in the face of the evidence and clearly contradicts the jury's narrative verdict. “The contrast between the highly critical inquest jury verdict and the two insubstantial findings of the IPCC report could not be clearer. It should not have taken an inquest to discover some basic facts, such as the restraint of Sean Rigg in the prone position lasting several minutes, rather than seconds according to officer accounts which were accepted by the IPCC. 2. The IPCC report is available on their website. 3. The family of Sean Rigg were represented by INQUEST Lawyers Group members Leslie Thomas and Thomas Stoate of Garden Court Chambers and Daniel Machover and Helen Stone of Hickman and Rose Solicitors. Daniel Machover, Hickman and Rose on 07773 341096. On the 21st August 2008 20:24, Sean Nicholas Rigg died at Brixton Police station as a result of a cardiac arrest. Sean Rigg last took his depo on the 20th June 2008, the dose administered was 50mg Haloperidol which was half the recommended dose for his condition. On the 11th August 2008 Sean Rigg displayed clear relapse indicators. Slams Response to these indicators was inadequate. Slam had failed to put in place a clear and adequate risk assessment and crises management plan. Slam failed to communicate and involve Sean Riggs family. The clinical team responsible for Sean’s care failed to communicate effectively amongst members of their own team and with the Fairmount staff. The good treatment and care of Sean Rigg provided by the Fairmount staff was compromised by their failure to put in place an adequate crises plan. They were not as proactive as they could have been in effective communications with the family of the clinical team. Communication and Crises planning between the key stakeholders, Penrose, Slam and the Police were inadequate. Slam had failed to ensure had failed to ensure that their patient Sean Rigg took his medication. Furthermore slams failure to undertake a Mental Health Act (MHA) assessment at or from 11th August more than minimally contributed to Sean Rigg’s death. Responses by the CAD operators to calls from staff members at 2B Fairmount Road Hostel on 21st August 2008 were an unacceptable failure to act appropriately. The lack of timely police responses to calls from Fairmount road Hostel were also unacceptable and inappropriate. There was a lack of sufficient and effective communication between the police officers at the scene of the arrest. Those Police officers did not communicate sufficiently with the CCC, IBO or the staff at Brixton Police station. The CCC, IBO and staff at Brixton Police station did not sufficiently communicate with the dispatched police officers. The IBO failed to gather crucial information that was readily accessible. This led to missed opportunities to take earlier action. The Police who were aware of relevant information regarding Sean Rigg failed to relay and verify this. It is questionable whether the relevant police guidelines or training regarding restraint and positional asphyxia were sufficient or were followed correctly. The restraint of Sean Rigg lasted approximately eight minutes whilst the hand cuffing took approximately thirty seconds. Sean Rigg was in the prone position throughout the entire restraint. The agreed view of the Jury is that Sean Rigg was struggling but not violently. The length of restraint in the prone position was therefore unnecessary. It is the majority view of the Jury that this more than minimally contributed to Sean’s death. The majority view of the Jury is that at some point of the restraint unnecessary body weight was placed on Sean Rigg. Up to the point of being apprehended by the Police, the condition and behaviour of Sean Rigg was that he was physically well but mentally unwell. The majority view of the Jury is Both Sean’s physical and mental health deteriorated during the period of restraint. The majority view of the Jury is that during the walk to the van Sean Rigg was physically unwell due to oxygen deprivation which occurred during his restraint in the prone position. Sean Rigg was in a V shape position in the foot well of the cage in the Police van. The majority view of the Jury is that he was in this position during the whole time that he was in the cage of the police van (19:50 – 20:03). Sean Rigg’s physical health continued to decline during the journey in the cage of the police van, back to the Police station. Sean Rigg’s mental health was already and continued to be very poor. As Sean Rigg was brought into the cage at Brixton Police station he was extremely unwell and was not fully conscious. Sean was fully unconscious by 20:11. It was reasonable to expect the police to recognise that there was cause for concern regarding Sean’s mental and physical health. It was reasonable to expect the police to have undertaken an assessment of both Sean’s physical and mental condition; from the point of arrest. No assessment was done of Sean Riggs condition at any time before he became unconscious. There was an absence of actions by the Police and this was inadequate. The police failed to identify that Sean Rigg was a vulnerable person at the point of arrest and he was therefore taken back to the police station instead of an Accident and Emergency department or Section 136 Suite, despite information about him being readily available and accessible. The Police failed to follow the Mental Health Project Team Standard Operating Procedure. From 19:53 – 20:03 while Sean was inside the cage of the van, there was a lack of care by the police. Whilst in the cage of the Police station from 20:03 – 20:13 there was an absence of appropriate care and urgency of response by the Police which more than minimally contributed to Sean Rigg’s death. Both the action and decision of the police to stand Sean Rigg up unacceptable and inappropriate. Leaving Sean Rigg in handcuffs was unnecessary and inappropriate. The views expressed by the police officers that Sean was violent and possibly not unwell, deprived Sean of the appropriate care needed and there was a failing to secure an ambulance as quickly as possible. Whilst Sean Rigg was in custody the Police failed to uphold his basic rights and omitted to deliver the appropriate care. Despite the efforts of the police to resuscitate Sean Rigg using CPR, and later the efforts of the London Ambulance Service and Kings College Hospital, Sean Rigg had already died at 20:24 at Brixton Police Station. “Sean was a wonderful, talented and caring brother and son. For years he had lived with schizophrenia. He was under the care of the South London and Maudsley NHS Trust, and known by Brixton police to have mental health issues. “We have sat through a long and painful seven weeks reliving the final days and hours of Sean’s precious life. This pain has been compounded by officers at best misleading the jury and at worst lying under oath. The evidence we have heard has left us in no doubt that Sean died as a result of the wilful neglect of those who were meant to care for him and keep him safe. If the South London and Maudsley Trust had done their job properly and provided the care and help that Sean urgently needed, he would be alive today. If the police had not ignored repeated 999 calls from the hostel, and taken Sean to the hospital as they should have done, he would be alive today. “It was perfectly apparent to ordinary members of the public that Sean was having some kind of mental crisis on the 21st August 2008, when the police were called for help. When the police did eventually arrive they restrained him, arrested him for theft of his own passport, put him in the back of a police van, drove him with sirens, not to the hospital for urgent medical care, but to Brixton police station, left him in a perspex cage in the van and finally brought him to the caged area at the back of the station where he died on a concrete floor, surrounded by police officers. “Sean was a fit and healthy man who died less than an hour after being picked up by the police. Nothing will bring him back but we want to know that justice will be done. We want to know that those responsible will be held to account for Sean’s death. “We feel utterly let down by the Independent Police Complaints Commission investigation into Sean’s death which was inadequate and obstructive from the start. Until it is fundamentally reformed, the IPCC will remain incapable of exposing the truth when people die in police hands. “We call for the Crown Prosecution Service to look at the damning evidence that has come to light in this case and demand a prosecution of those responsible for Sean’s death. “We call for an urgent public inquiry to establish why the system in this country consistently fails to deliver justice to the many families whose loved ones have died in police custody. We want to know why, last year, over half the people who died following contact with the police had mental health issues and why, like Sean, over half died in circumstances involving restraint. We want to know why there was also such a sharp rise in the number of black men who died following police contact. We want to know why our system allows officers to continue in their jobs when someone has died in their care and why not one successful prosecution has taken place in this country since 1986. “Until we have justice there will be no peace for us or the many other families we stand with. “We would like to thank all of those who have helped and supported us in our long and hard fight for the truth. The ensuing IPCC investigation has been the subject of serious criticism, as has the police handling of the case and their treatment of the family. How and why did Sean, who appeared to be physically healthy, come to suddenly die in this way? Why did the mental health service fail to carry out an emergency intervention when it became clear that Sean had ceased taking his medication and was going into crisis? Was key mental health information passed to relevant police officers? Whether effective communication and response protocols were in place between the agencies (Metropolitan Police Service, South London and Maudsley NHS Foundation Trust and Penrose Housing) to address Sean’s emerging crisis. “INQUEST has significant concerns about how vulnerable people with mental health issues are treated by the police. This is a deeply disturbing death and it is vital both for the family and the public that there is a rigorous, far-reaching investigation into the treatment of a vulnerable black man in need of care and protection. The Rigg family is being represented by INQUEST Lawyers Group members Leslie Thomas of Garden Court Chambers, instructed by Daniel Machover of Hickman & Rose Solicitors. They are being supported by INQUEST throughout the inquest. 3. Neither the family nor their representatives will be available for comment while the inquest is ongoing. Please address any queries to Hannah Ward at INQUEST. 5. INQUEST is the only registered charity that provides a general telephone advice, support and information service to any bereaved person facing an inquest and a free, in-depth complex casework service on deaths in custody/state detention or involving state agents and works on other cases that also engage article 2 of the ECHR and/or raise wider issues of state and corporate accountability. INQUEST's policy and parliamentary work is informed by its casework and we work to ensure that the collective experiences of bereaved people underpin that work. Its overall aim is to secure an investigative process that treats bereaved families with dignity and respect; ensures accountability and disseminates the lessons learned from the investigation process in order to prevent further deaths occurring. The United Families and Friends Campaign (UFFC) is a coalition of families and friends of those that have died in the custody of police and prison officers as well as those who are killed in secure psychiatric hospitals. It includes the families of Roger Sylvester, Leon Patterson, Rocky Bennett, Alton Manning, Christopher Alder, Brian Douglas, Joy Gardner, Aseta Simms, Ricky Bishop, Paul Jemmott, Harry Stanley, Glenn Howard, Mikey Powell, Jason McPherson, Lloyd Butler, Azelle Rodney, Sean Rigg, Habib Ullah, Olaseni Lewis, David Emmanuel (aka Smiley Culture), Kingsley Burrell, Demetre Fraser and Mark Duggan to name but a few. Together we are building a network for collective action to end deaths in custody. During the late nineties the families of the most controversial deaths in police custody victims came together to form UFFC. Since then we have campaigned for justice for our loved ones and our efforts have yielded some results. The police self-investigation of deaths in custody, previously overseen by the Police Complaints Authority, was replaced by the Independent Police Complaints Commission. The Attorney General was forced to undergo a review of the role of the Crown Prosecution Service. We continue to monitor these developments. However, these reforms have not addressed the lack of justice in outstanding cases such as Joy Gardner, Brian Douglas and Shiji Lapite, to name a few. These are human rights abuses and must be dealt with accordingly. Nothing can replace due process of law and with so much overwhelming evidence against police officers accused of manslaughter, the question remains why have they not been convicted? Our priorities were to continue to support cases such as Ricky Bishop, Roger Sylvester, Mikey Powell and Harry Stanley. In recent years other high profile cases such as those of Ian Tomlinson, Jean Charles De Menezes and Sean Rigg show how the IPCC and the CPS have continued to fail us. Since last year we have had the high profile deaths of David Emanuel (aka Smiley Culture), Kingsley Burrell, Demetre Fraser, Lloyd Butler and Mark Duggan. The deaths have not stopped and nor shall we. Our Annual Remembrance Procession will take place on 29th October 2011. Samantha and Marcia, sisters of Sean Rigg said: "It is now over three years since Sean died at the hands of Brixton Police and still we are fighting to get crucial evidence from the IPCC. Why? We have to wait four years for an Inquest to find out how he died. Why? This is our fourth attendance on the UFFC march and it beggars belief the amount of deaths that have occurred since Sean died. Since the last march in October 2010, there have been a staggering 225 deaths in state custody. Why? We families have not had justice; we just have us. It is therefore imperative that families must unite together to remember their loved ones and continue their quest for justice and change in the British judicial system for positive action from it to ensure that the embarrassing list of deaths at the hands of the state has no more victims added to it. No Justice. No Peace." The family of Olaseni Lewis said: "The unnecessary and untimely loss of Seni has brought great sorrow into our lives. He was a bright 23yr old, who had just finished his masters and was looking forward to doing his PHD. Why was his restraint at the hands of the police so excessive? And who is going to be accountable for taking his life?" Merlin Emmanuel, the nephew of David Emmanuel said: "I am joining the UFFC campaign because my family has lost a loved one at the hands of the police under suspicious circumstances, namely Smiley Culture. We have yet to receive the justice we deserve and have been shocked by the contemptuous way we have been treated by the Met and the mainstream media. We have noted that many families have been treated in the same way and that deaths in police custody have not been investigated competently by the IPCC, neither by our government or politicians. We know we are up against a great Goliath but we, the Emmanuel family and Campaign 4 Justice are aware that organisations such as UFFC bring awareness to our plight and therefore it is our duty to stand in solidarity with them. Not just this October, but every year until the spectre of deaths in police custody becomes a bad memory." Josie Fraser mother of Demetre Fraser said: "My son died after police attended a property in Birmingham in May 2011. The IPCC has not given me any strong answers or confidence in their so-called investigation. The arresting officers have still not given me any answers or even a phone call. Just like all other families I am supporting the UFFC campaign as I would like justice for my son and all others who have died in police custody over the years." Jan Butler mother of Lloyd Butler said: "My son died whilst in the 'care' of the police on 4th August 2010. You cannot change some things; you cannot turn back the clock. In life there is a certain guarantee that we all one by one will some day die, but as a mother you do not expect to bury your children first. I am going to the march in London to take part and share my support with other families and friends whose loved one has died in custody - the fight goes on." Susan Alexander mother of Azelle Rodney who was shot dead by police in April 2005 said: "I have been coming to the UFFC rally since 2005. I was appalled to see so many bereaved families and when confronted with statistics from Inquest I was even more intrigued and wanted answers. The reasons I attend are for the fact that I am making demands and changes on a local, national and global level. I want to make a difference, I want to be visible, I want justice. Over the years those demands have changed and I am stronger. The Azelle Rodney Campaign has been able to influence changes in the law that will not only assist us, but other families too. We ALL want Justice!" Sheila Sylvester, Mother of Roger Sylvester said: "I am surprised to know that the police and the state are still killing people! Change was supposed to come since Roger's death, but in the past 12 years nothing has really changed. The system should be ashamed of itself! You have to have a lot of money to fight these cases, but all you get is an Inquest, and nothing comes out of an Inquest." The family of Habib Ullah who died in July 2008 said: "We are still fighting for justice and note that three and a half years since his death in a car park in High Wycombe nothing has changed, more people have died, and the police still operate with impunity in our communities. Until there is justice there will be no peace - how can there be deaths in these circumstances without killers?" Sieta Lambrias sister of Mikey Powell who died in police custody in Birmingham in September 2003 said: "The struggle for justice for my brother, and all the others that have died at the hands of the state, goes on. We ask people to come and support us. We cannot keep silent and condone these killings." Stephanie Lightfoot-Bennett whose brother Leon Patterson died in Stockport police station in 1992 said: "I have been coming to this march for the past 13 years. I am fighting to get a public inquiry into how my twin brother died. I have got too many questions and not enough answers. My family have a right to know." Patricia Coker the mother of Paul Coker who died in Plumstead police station in August 2005 said: "We have zero tolerance of murder, manslaughter cruelty and negligence being carried out by the British police and condoned by Parliament. It is our intention to speak for our loved ones who have died in custody." Brenda Weinberg, sister of Brian Douglas who died in police custody in Clapham, London in May 1995 said: "It is not in the public interest for the victims of deaths in custody to be denied justice." UFFC is supported by INQUEST, Migrant Media, Newham Monitoring Project, Pan African Society Community Forum, 4wardEver UK and United Campaign Against Police Violence. • That failure of State officials to ensure the basic right to life is made worse by the failure of the State to prosecute those responsible for custody deaths. • That failure to prosecute those responsible for deaths in custody sends the message that the State can act with impunity. 1. Replacement of the IPCC to ensure open robust transparent and thorough investigations into police deaths in custody by a ‘truly’ independent body from the very outset of the death. 2. Officers and officials directly involved in custody deaths be suspended until investigations are completed. 3. Immediate interviewing of officers and all officials concerned with the death. 4. Officers and officials should never be allowed to ‘collude’ over their evidence and statements of fact. 5. Full disclosure of information to the families. 6. Prosecutions should automatically follow ‘unlawful killing’ verdicts at Inquests and officers responsible for those deaths should face criminal charges, even if retired. 7. Implementation of police body cameras and cameras in all police vehicles in the interests of both the officers and the public. 8. The end of means testing of families for legal aid. There is a lack of funds for family legal representation at Inquests whilst officers and NHS staff get full legal representation from the public purse – this is unbalanced. Families of those who have died in police and prison custody and secure state care will hold a silent procession and then deliver a letter of demands to the Prime Minister. "We will be marching to remember all our loved ones and to remind the Government that we are not going away. We need justice and positive action taken to ensure that this terrible list of deaths at the hands of the state has no more victims added to it"
The Karibu Education Centre, 7 Gresham Road, Brixton, London SW9 7PH. On 21 August 2008, our brother Sean Rigg, was arrested by police, “restrained” and transported to Brixton police station in the back of a van. He was removed from the van in a collapsed state and died a short while after whilst in the station yard. He never entered the custody suite door. The events leading to his death raise suspicion and concern. Although a mental health service user, Sean was fit and healthy with no illicit drugs or alcohol found in his body at the time of his death. The Independent Police Complaints Commission's (IPCC) report completed in February 2010 is, in the family’s opinion, “Heavily biased in favour of the police”, despite the obvious suspicious circumstances surrounding Sean’s death. A catalogue of errors in the investigation has caused the family to lose faith in the British judicial process following a DEATH IN CUSTODY. For two years the family have vigorously enquired and campaigned in an attempt to find out the truth of what really happened on the night. Currently the family’s legal team are preparing for the inquest, scheduled for 2012. Justice and Change will be hosting an open floor discussion where they and other families will talk about their experiences of injustice. The family campaigns include Christopher Alder, Brian Douglas, Roger Sylvester, Ian Tomlinson, Blair Peachand Jean Charles de Menezes amongst others, who have lost loved one’s in police custody – all have lost faith in the British Judicial System. What has really changed in the last 30 years? Come listen and discuss your views about the controversial topic of DEATHS IN CUSTODY and the lack of accountability. Other supportive death in custody campaign organisations, such as INQUEST, Newham Monitoring Project (NMP), Black Mental Health UK (BMH UK) and United Campaign Against Police Violence (UCAPV), will speak about the current issues and explore what can be done do to bring about awareness and change. Deborah Coles of Inquest said: “Sean’s family’s disquiet about the lack of impartiality and independence of the investigation process and the serious delay in holding an inquest have once again resulted in a lack of confidence in the investigation mechanisms following deaths involving the police. The recent decision not to prosecute anyone in relation to the death of Ian Tomlinson follows a litany of cases where the police have not been held to account for unlawful use of force and further anger and mistrust about how the state responds to such deaths. The Campaign will also be hosting a private screening of the film “SUS” - a true and chilling account of one man's brush with the police in 1979 - written by Barrie Keefe who also wrote “The Long Good Friday”. Unfortunately due to limited seating, this will be by invitation only. However, SUS will be out on DVD 6 September. See the film’s website for upcoming screenings www.susthemovie.com. On Saturday 21st August, The Sean Rigg Justice and Change Campaign, will come together to commemorate the life of Sean Rigg on the 2nd anniversary of his death. 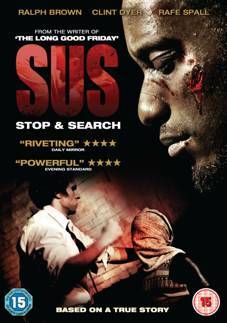 After a vigil and town meeting in Brixton, the campaign will host a special screening of SUS. The film’s director, Robert Heath, and lead actor, Clint Dyer, will attend the screening for a discussion with members of other prominent campaigns against police violence. Sean died in 2008 whilst in custody at Brixton police station, London. The gifted musician was a charismatic, ambitious and healthy member of the Brixton community; where he worked as a volunteer at the Franz Fanon Community Centre. Sean’s untimely death, aged forty, has aroused suspicion amongst the rapper’s friends and family. On the day of his death Sean was arrested on suspicion of public order offenses, the likely result of a missed dose of medication for his schizophrenia. Within 90 minutes of his arrest Sean was dead. At 7:40pm Sean was bundled into a police van by MET officers. At 8:03pm Sean was left in a cage in the police yard. Where he passed in and out of consciousness and failed to stand. By 8:20pm Sean had stopped breathing. Following an IPCC (Independent Police Complaints Commission) inquiry, CCTV footage has been removed from inside the station but not from the police yard which would show a clear view of the cage area where Sean was taken ill.
Sean’s family have voiced concerns about unexplained injuries to Sean’s body. The harrowing real life events surrounding Sean Rigg’s death are a startling reminder of events in SUS. The film, out on DVD from September 6th, was written by acclaimed screenwriter Barrie Keefe (The Long Good Friday) to explore the effects of the 1970s Stop and Search laws, which were disproportionately applied to minorities. Vigil outside Brixton Police Station in remembrance of Sean Rigg, 5pm sharp. Public Meeting across from Police Station at The Karibu Education Centre, 7 Gresham Rd, Brixton, London SW9 7PH, 6-8pm. Followed by a private screening of SUS. The film is as compelling as its stage counterpart. Set on election Night 1979: where Margaret Thatcher is on the cusp of power, SUS is the story of a young black man is held on suspicion of murdering his pregnant wife. Callous humiliation gives way to a barrage of sinister violence. As morning approaches the police desperately resort to physical and mental torture, all leading to a devastating conclusion. The United Campaign Against Police Violence (UCAPV) welcomes the step forward in the investigation into the death of newspaper vendor Ian Tomlinson. As the Independent Police Complaints Commission passes its files on the investigation into the police officer seen to strike Ian Tomlinson to the Crown Prosecution Service, we hope that this case will finally come to court and that justice is done. If the officer is charged and found guilty of Ian's death it would be the first time an officer has ever been charged with manslaughter. Millions have now seen the footage obtained by citizen journalists of Ian Tomlinson being struck from behind by the police officer. We can only assume that the 1,200 hours of footage obtained by the IPCC from CCTV cameras in the area will give a far more detailed account of the event. UCAPV has been part of the movement calling for justice for Ian Tomlinson, and also for the many others who have died in police custody. We recognise the efforts of the thousands who have campaigned over the death of Ian Tomlinson, and we will campaign further to ensure that there will be a thorough and fair criminal investigation into Ian's death, but also the deaths of others who have died in police custody – numbering over 1,000 since 1969, but as yet without any verdicts of murder or manslaughter against any police officer. As we await the trial date for the officer in question, UCAPV is playing a key role in organising a memorial event for Sean Rigg, who died at Brixton Police Station in August 2008. This will take place on 21 August, more details to follow. United Campaign Against Police Violence (UCAPV) is a coalition of protest groups, justice campaigns, political parties, civil rights groups and trade unions around the slogans: Remember Ian Tomlinson - no more deaths in police custody; Freedom to protest - defend civil liberties. UCAPV supporters include the UCU and PCS unions, London Green Party, Labour Representation Committee, Socialist Workers Party, G20 Meltdown, Stop the War Coalition, Legal Defence and Monitoring Group, Government of the Dead, London Transport Region RMT, the Sean Rigg Justice and Change Campaign, Essex Students' Union, Sussex Students' Union, and others. Representatives of the campaign are available for interview. The family of Sean Rigg wish to express their sincere condolences to Mr Tomlinson's family over his tragic, quick and untimely death after coming into contact with the police. Our thoughts and hearts are with them at this very difficult and grief stricken time. The Rigg family have been closely following the evidence so far with heartfelt sadness as we too, amongst many other families, are going through very similar circumstances since our brother Sean died very shortly after coming into contact with Brixton police on 21 August 2008. We know from experience that Ian's family's pain at this time is being exacerbated by the misinformation and half truths at the early stages of the investigation. Had witnesses not come forward with video footage, the investigation would have taken a very different stance. We are concerned that initially the police and the IPCC appear to have mislead the public about vital information regarding the circumstances of Ian's death. The investigation into Ian's death requires a robust and transparent investigation as quickly as possible. The Rigg family note that Nick Hardwick, Chairman of the IPCC, has quoted recently that he pledges to seek justice for the relatives of the 47 year old newspaper seller, adding "we will be independent, we will be fast and we will be effective". The Rigg family truly hope that this will be fulfilled by the IPCC and that justice will be given to Ian's family. However, the Rigg family find it inconsistent that such reassuring statements were not forthcoming from the outset and onwards into the investigation of Sean's death, for instance it took 7 months for statements to be taken from the officer's involved in Sean's arrest, amongst many other discrepancies. The Rigg family, and many other death in custody families, have had to push and push and push the IPCC to properly investigate and gather evidence from the outset and feel that in Ian's case, it is only because of the media concerns and CCTV footage that the IPCC have no alternative but to appear to act quickly and transparently. We hope that the investigation will continue this way throughout. The Rigg family renew their appeal for all witnesses that saw Sean's arrest on Thursday 7 August 2008 between approximately 7.15 to 7.45 pm to please come forward to contact either the IPCC or the family's solicitors, Hickman & Rose.